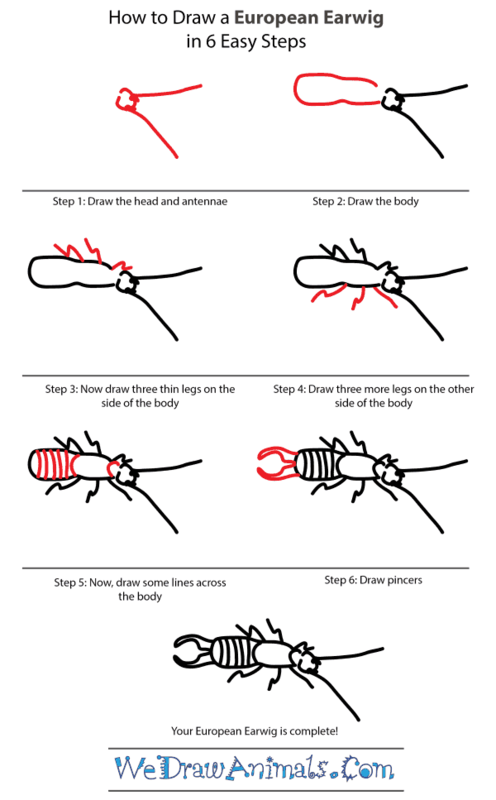 In this quick tutorial you'll learn how to draw a European Earwig in 6 easy steps - great for kids and novice artists. 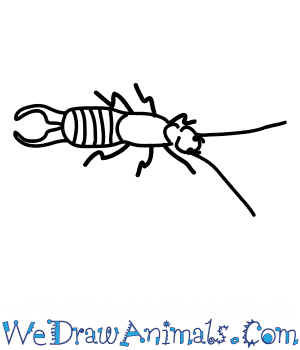 At the bottom you can read some interesting facts about the European Earwig. This common earwig occurs all over Europe and is an omnivorous insect. 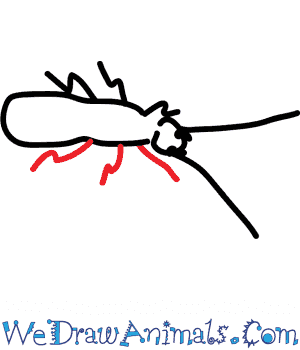 In general, this insect is considered very unpleasant in every way to the senses. It has a foul odor, a frightening appearance, and a long, flat body that ends with pincers on both the males and the females of this species. 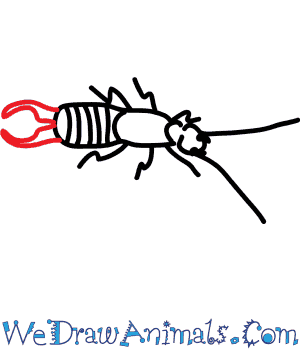 Male earwigs have fiercer-looking pincers, as they are larger and much more curved than those of the female earwig. 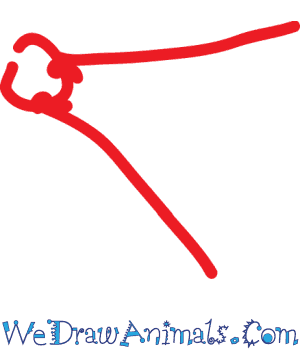 They are capable of flying, though they rarely do, and often rear their ugly heads in small crevices inside the home, as well as in food pantries. This insect is also considered a massive nuisance to farmers, as their presence can heavily damage growing crops. This earwig, though it is considered a European species, lives in many different kinds of environments including those in North America. The young nymphs of this species look very much like their adult counterparts, but with nonexistent or very small wings and lighter in color. They are native to Europe, North Africa and Asia, but have been introduced to North America. It is likely that they came over via passengers’ clothing, or traveling lumber and paper. 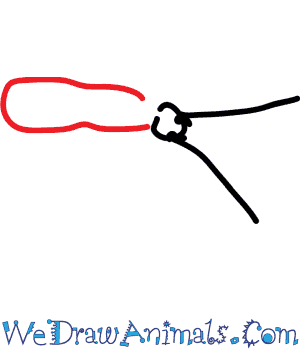 They are nocturnal, and prefer dark, cool and narrow areas. In colder climates, this species yields fewer eggs than they do in the warmer seasons. 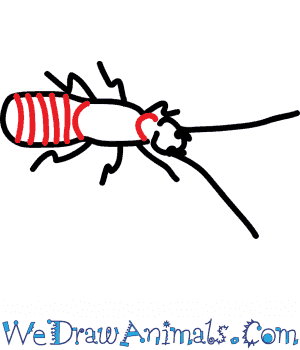 This earwig is a scavenger, and will often eat plant matter, aphids, spiders, insect eggs and dead organic matter. They vastly prefer sugar and meat over vegetation as a food source. The manner in which females go about tending to their eggs is very interesting and surprisingly motherly for such a negative-seeming species of insect. They lay a single clutch of about fifty eggs in autumn before entering a dormant state where they will stay with their eggs until they hatch. During this time, she will clean them and rotate them to keep fungus from growing on them. In the spring, when time draws near for hatching, the mother earwig will lay her eggs into a single layer. After they are born, she will then guard them for a month until they reach full maturity.